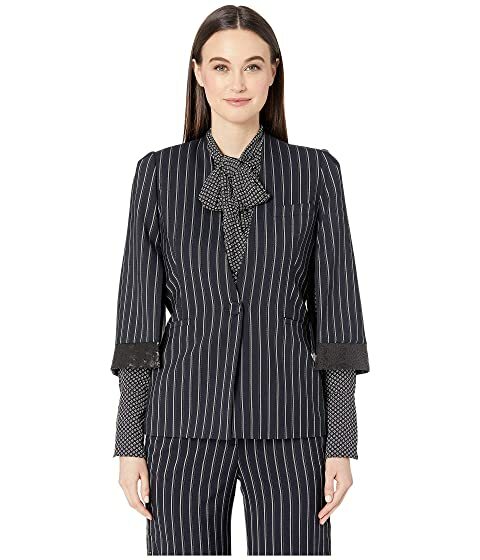 Professional style at its best is what you have wearing the Rachel Zoe™ Lina Jacket. Short split sleeves with shimmering sequined cuffs. Front patch pocket at left chest. Lining: 57% polyester, 43% elastane. We can't currently find any similar items for the Lina Jacket by Rachel Zoe. Sorry!